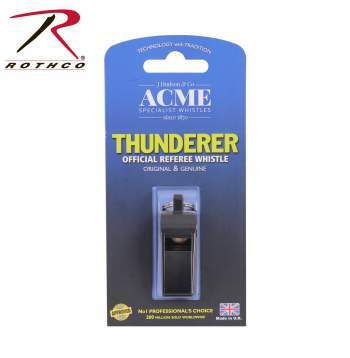 ACME Thunderer Official Referee Whistle is a traditional and popular pea-whistle with a cushioned flexible finger-grip. 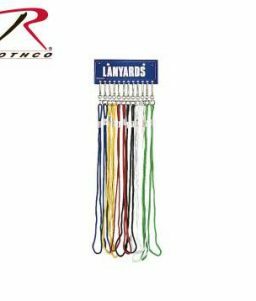 It has a non-stick pea that can work in any weather condition. 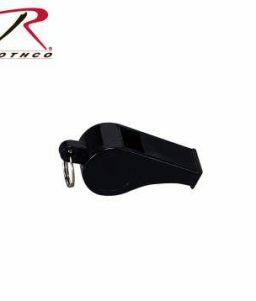 SKU: 8450 Category: Whistles Brands: ACME. 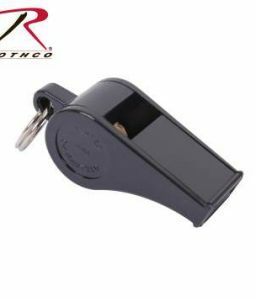 ACME Thunderer Official Referee Whistle is a traditional and popular pea-whistle with a cushioned flexible finger-grip. 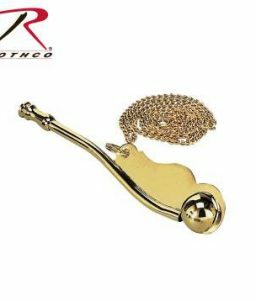 It has a non-stick pea that can work in any weather condition. 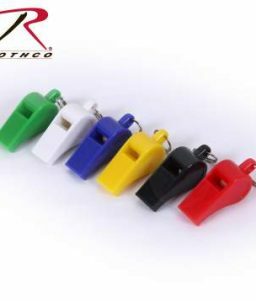 Unbeatable in strong winds, easily heard fluctuating frequencies that work at very low breath pressures. 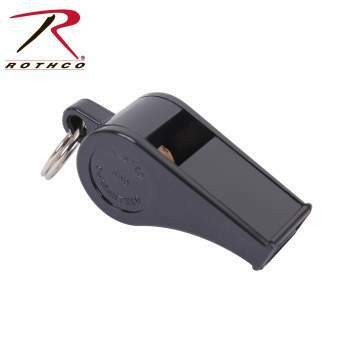 This is also ideal for emergency situations and personal protection.